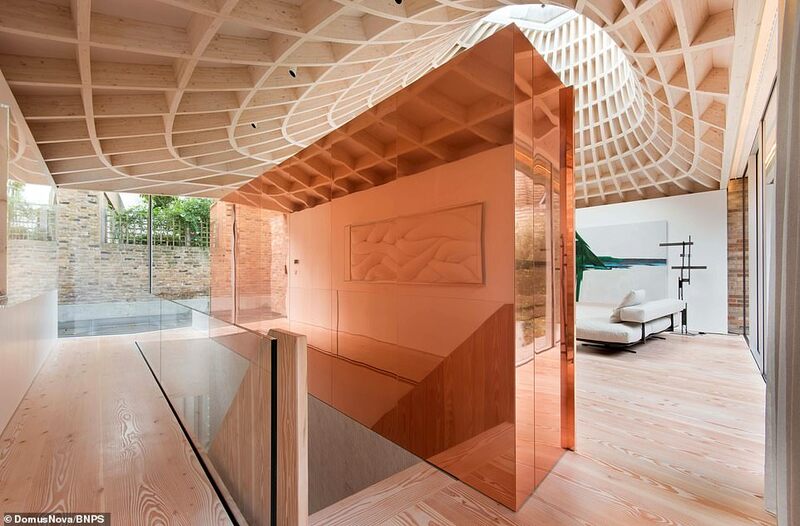 An architect got fed up with overlooking a characterless bungalow in Notting Hill so convinced the owner to replace it with a stunning luxury copper-roofed house that is now worth nearly £6million. 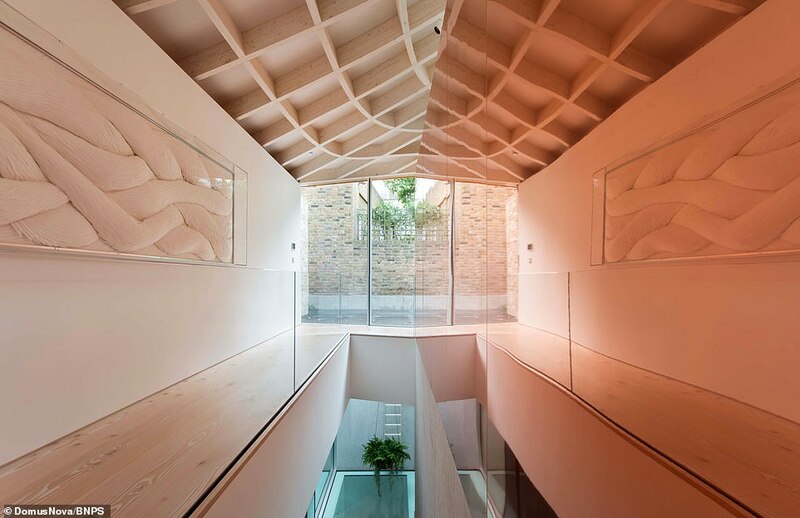 Gianni Botsford’s top floor flat in next door’s 19th century townhouse looked down on the uninspiring 1960s bungalow in London’s affluent neighbourhood. He decided he wanted to make better use of the land and worked with the owner on an eight-year building project to replace it with the new sculptural-looking house. 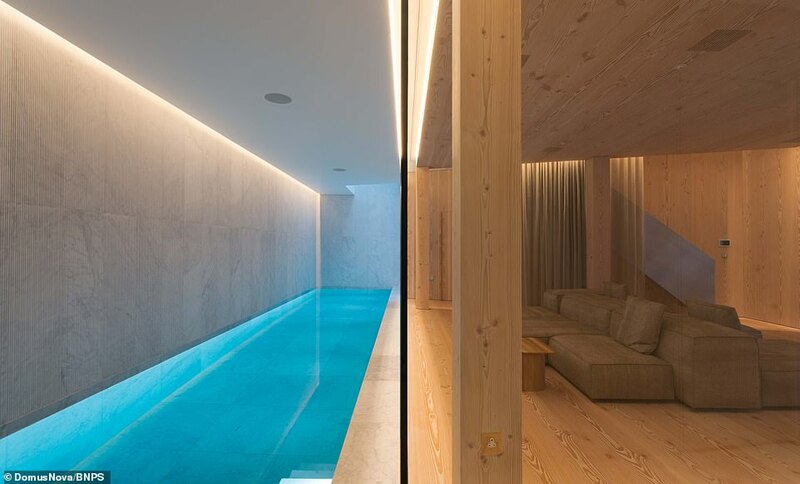 The property, that has three-bedrooms and an indoor swimming pool over two subterranean levels, has now gone on the market with Domus Nova. 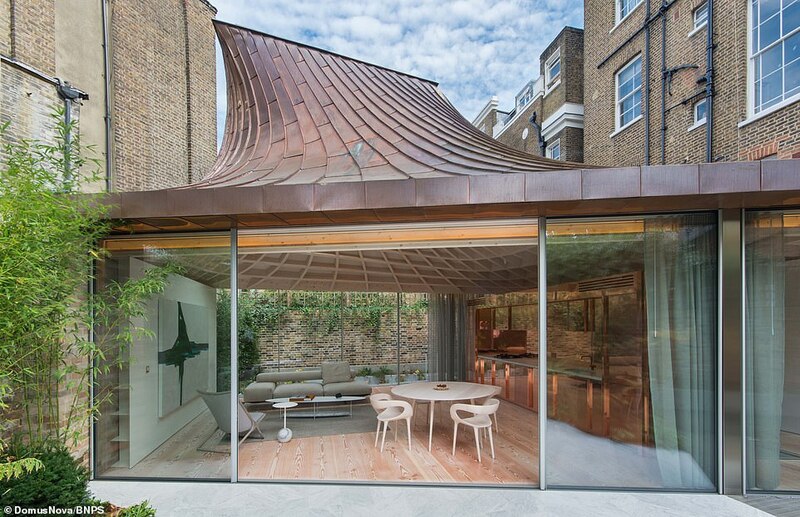 The copper-clad roof will weather naturally over time. 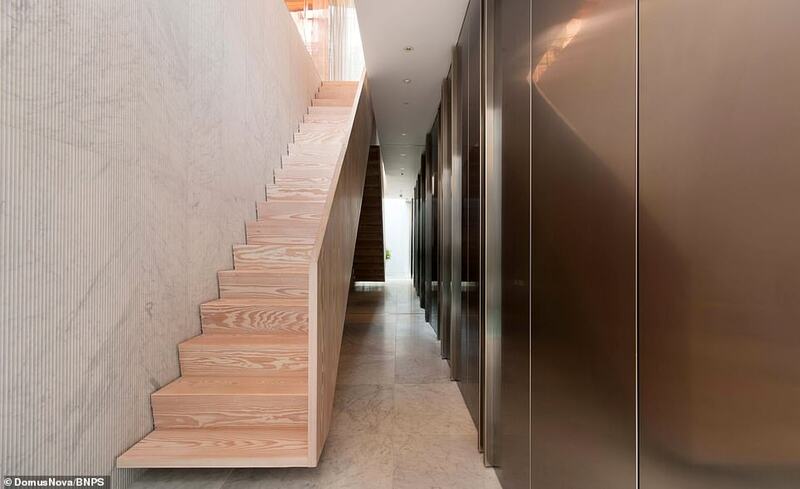 Inside copper, steel, wood and marble have been used to create a stylish home of angular precision and perfect joinery. The entire kitchen console has been clad in copper, industrially polished to a high shine and on the ground floor the living space is completely glass-walled to the east and west. 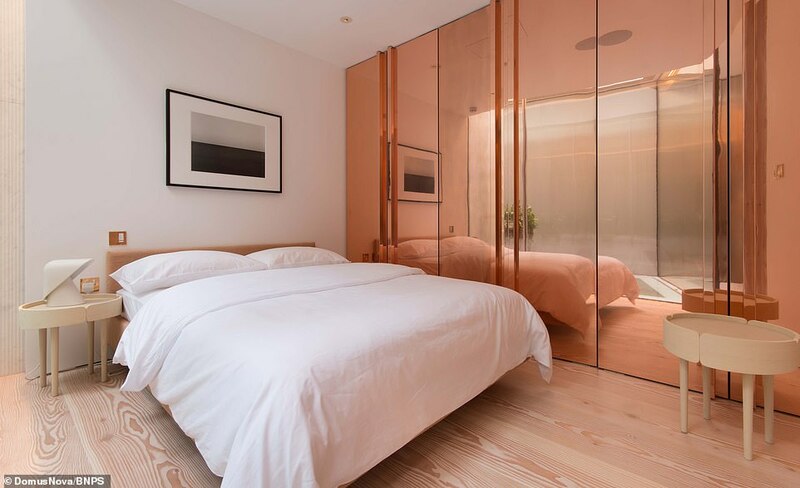 The master bedroom is almost entirely clad in Douglas fir with a built-in bed frame and walk-in wardrobe and overlooks a glass-walled winter garden. 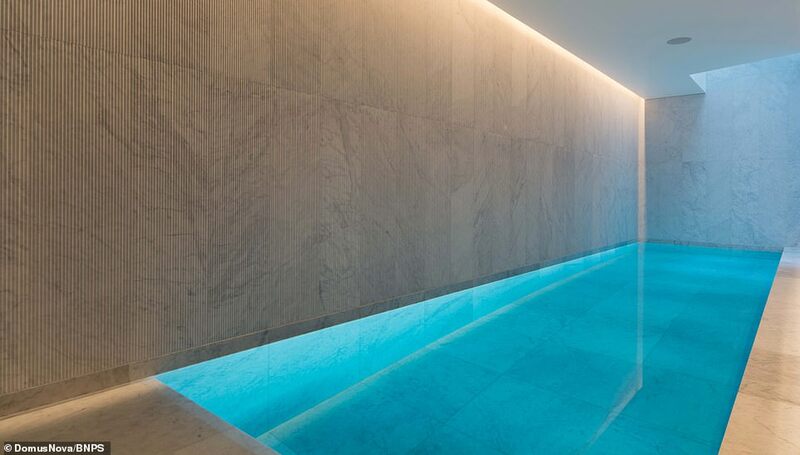 The house has 2,769 sq ft of accommodation with an entrance hall and open-plan kitchen and reception room on the ground floor and another reception room, three bedrooms, three bathrooms and a swimming pool, hot tub and steam room underground. 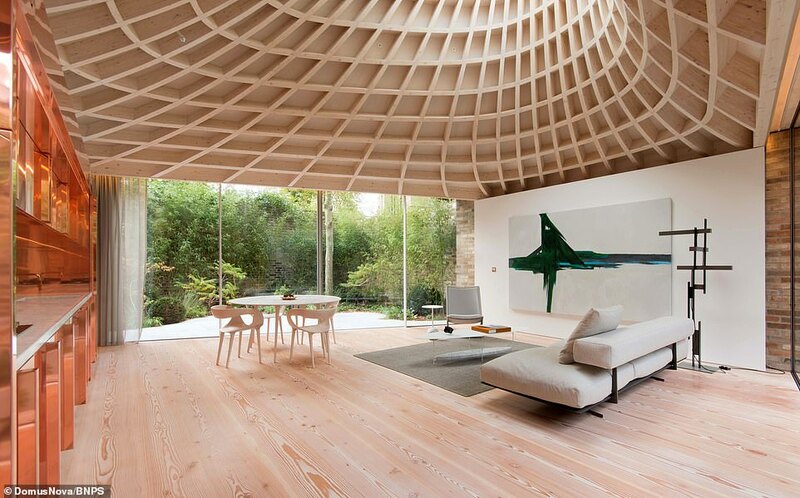 A spokesman for estate agents Domus Nova, who are handling the sale, said: ‘Pavilion is a home of distinction, a pioneering monument of contemporary design. ‘There’s really no way to prepare yourself for the staggering subterranean proportions that have been achieved beneath this former garden plot. 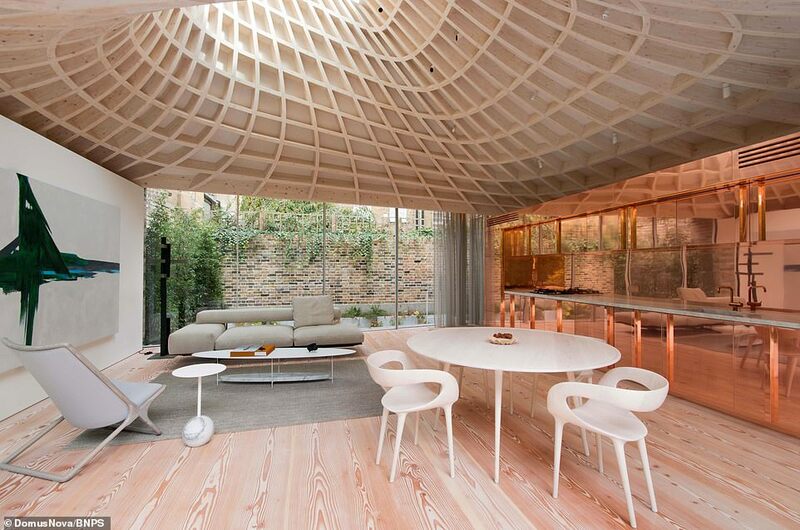 ‘The volume of living space at ground level divulges only a fraction of the entire house. 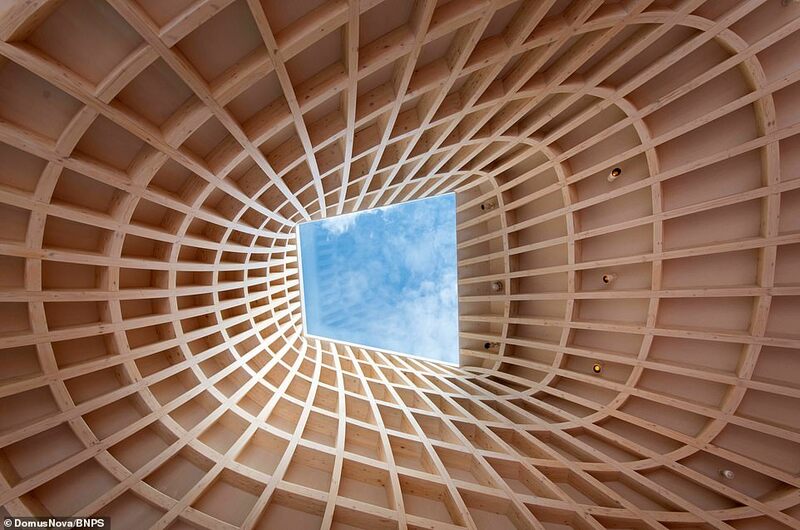 ‘The roof is the stuff of utopic architecture, showing off an expert understanding of artistry and function. ‘The undulating nature of the shape is extraordinary – it’s as though you’re standing beneath a giant wave that will never break. ‘Descending from the ground floor the striking staircase is met by a towering light well, which turns into a sort of hypnotic water feature when it rains. ‘It’s a real thing of beauty and the proportions of glass are enough to make you forget you’re underground. ‘It would be easy to forget you were in Notting Hill, or in a city at all. 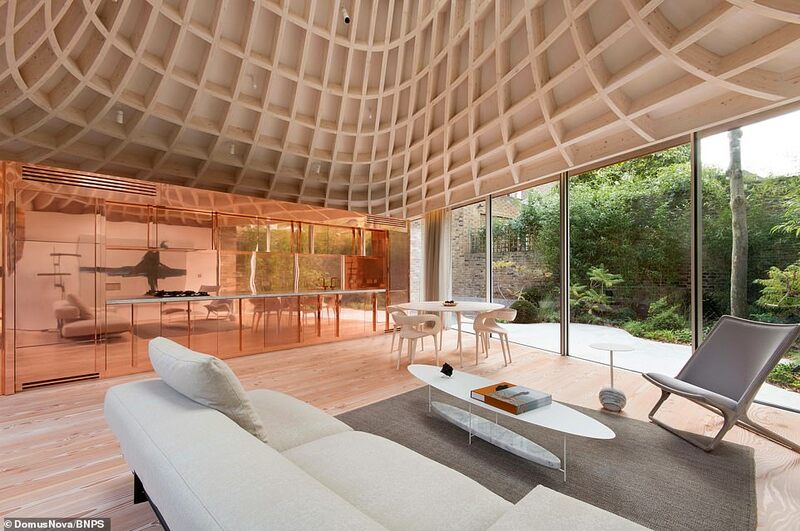 ‘The house is like a geode. 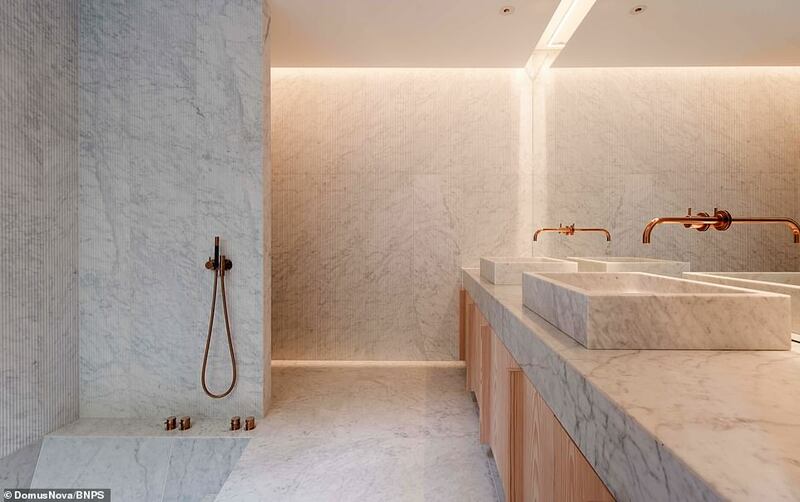 Its interiors are unexpected from the outset and its proportions are so perfectly formed and exact; they rival those of a naturally-formed crystal.